The Federal Reserve has remained persistent in their efforts to taper the purchasing of monthly bonds. In an attempt to reduce said purchases to $65 billion a month, the cutback has simultaneously impacted the U.S. stock market. Stocks have finished lower than expected, nearly wiping out prior gains. Despite the poor performance of the market, however, there is reason to remain optimistic. Mortgage rates within the housing sector experienced a sharp drop. As investors rush to the relative safety of the bond market, yields will continue to fall along with mortgage rates. It is important to note that while lower mortgage rates appear to be the product of a weakened stock market, it is not a perfect correlation. There are several factors, particularly new regulations, which are weighing on the minds of lenders today. The average rate on a 30-year fixed conforming mortgage reached 4.34 percent as recently as last week. 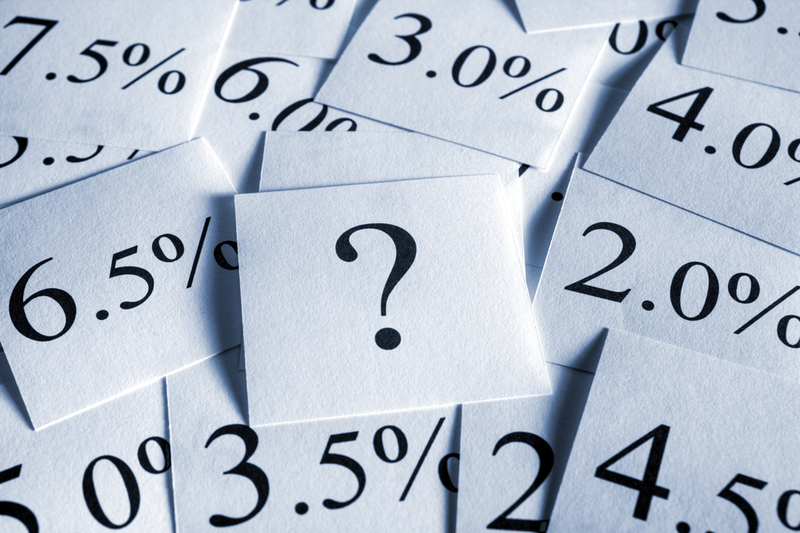 According to Mortgage News Daily, that rate is down from 4.50 percent in the previous week. Perhaps even more importantly, prospective homeowners haven’t seen rates this low since November. “This correction is bigger than I would have expected,” said Matthew Graham, COO of Mortgage News Daily, who points out that this week’s jobs report could send rates right back in the other direction. More are finding refuge in bonds, as stocks continue to take a hit. A particularly dismal employment report, in association with an equally disturbing manufacturing report, have forced many to reconsider their involvement in the stock market. In fact, upon the release of January’s U.S. manufacturing report, demand for mortgaged-backed securities spiked. As the economy continues to struggle to gain traction, the report may serve as a significant hindrance to the direction we wish to head. “The pressure is now on for the economy to show a rebound in February,” wrote analyst Peter Boockvar of The Lindsey Group. The recent drop in mortgage rates may appear insignificant. In and of itself, the fall is relatively small. For every quarter of a point drop, the average monthly mortgage payment on a $200,000 loan falls by just $30. Of particular concern, however, is the psychological impact such a shift exhibits. When rates suddenly drop, borrowers rush to refinance (if it’s worth their while), and some buyers jump ship altogether. The wider economic picture may be having a greater psychological impact on housing. “I think it won’t be a help to the housing recovery if the drop in rates is happening because the overall U.S. economy (and global one for that matter) is slowing down,” said Boockvar. This particular scenario has left many wondering how low mortgage rates can go and for how long. However, there are those that view the situation with an entirely different perspective.